Converse’s iconic Chuck Taylor shoe line will get an upgrade July 28, when the company will roll out its follow-up to the minimalist 1917 sneaker. The Chuck Taylor has long been one of the most popular sneakers in American culture. It’s also been among the least comfortable. Converse Inc. hopes to change that Thursday, when the Boston company is expected to unveil a new version of the 98-year-old shoe. The updated sneaker will merge the old shoe’s classic exterior with a more modern, cushioned interior engineered by Converse’s parent, Nike Inc., retailers with knowledge of the product said. Called the Chuck Taylor II, the shoe will feature an insole with the Lunarlon technology available in many of Nike’s athletic and casual sneakers, the retailers said. The shoe will weigh less than the current Chuck Taylor, also known as the All-Star or Chucks, they said. Converse declined to answer questions about the new shoe. Retailers said Converse will continue to make the classic Chuck Taylor, which sells for $50 and up. The new version will be available July 28 for about $80, with high- and low-top models in four colors. 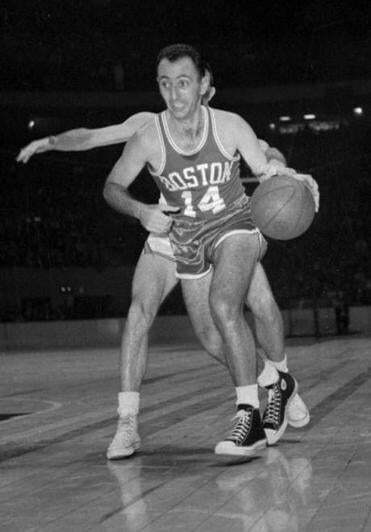 Boston Celtic Bob Cousy wears a pair of Chuck Taylors in this 1963 game against the Knicks. The Chucks feature Nike’s Lunarlon technology in the insole, as well as memory foam on the tongue and interior lining of the shoe. Converse introduced the All-Star, a flat-bottom and rubber-toed canvas high-top, as a basketball shoe in 1917. 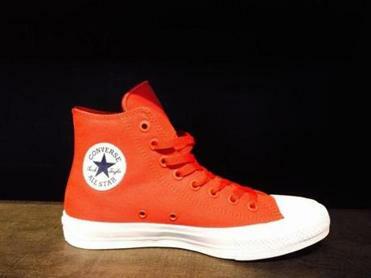 It was nicknamed the Chuck Taylor after a basketball player who became the company’s leading pitchman. Despite the simple design, the shoe was worn by NBA greats Wilt Chamberlain, Bob Cousy, and Oscar Robertson and remained popular on the court into the 1960s. But basketball shoes eventually evolved. Nike, Puma, and even Converse created more comfortable products with leather uppers, arch supports, cushioning, and generally more ergonomic designs. While the Chuck Taylor lost its athletic edge long ago, it became a counterculture fashion statement adopted by generation after generation. Converse has sold more than a billion pairs of the sneakers. The Chuck is ever-popular among subcultures of artists and musicians. In recent years, it has become a more mainstream trend seemingly endorsed by everyone except podiatrists. The current Chuck Taylor offers about as much benefit to the foot as the 5-inch high heel, said Dr. Lloyd S. Smith, a podiatrist in Newton Center who has done consulting work for New Balance, Converse, and Nike. Dr. John Giurini, chief of podiatry at Beth Israel Deaconess Medical Center, said he wouldn’t recommend the All-Star to patients with any prior foot injuries. He said flat shoes with limited support can exacerbate issues such as achilles tendonitis, plantar fasciitis, and posterior tibial tendonitis, among other foot problems. Giurini said Chucks are a common topic of conversation with his patients. But he also understands some people don’t mind a little pain in the name of fashion. 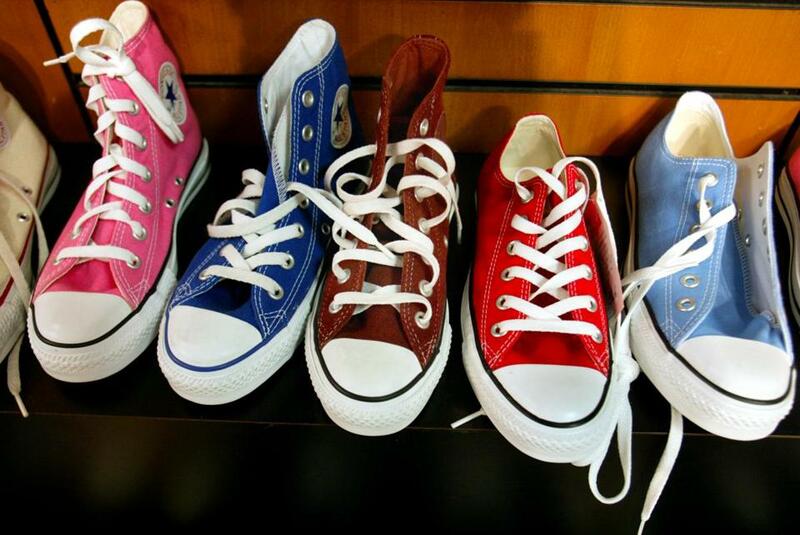 Doctors and retail experts applaud Converse’s decision to offer a more comfortable version of the iconic shoe. That includes E.C. “Ned” Frederick, owner of Exeter Research Inc., a New Hampshire footwear research and development consultancy that has worked with Nike, Adidas, Under Armour, and other shoe brands. Frederick said it’s “good shoe-making” to incorporate a proven technology from Nike into another brand, especially in a way that isn’t visible to the consumer. Nike also infused its technology into some Cole Haan products before it sold the brand in 2013. 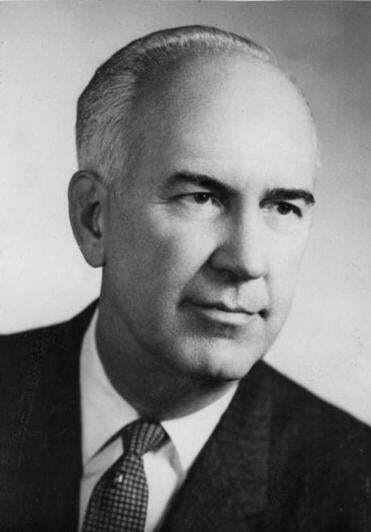 Chuck Taylor, shortly before his death in 1969. But Frederick, who led research and development at Converse in the 1990s, also cautioned that consumers can be very critical of any changes to the iconic shoe. He recalled an instance in which Converse changed factories in Japan long ago and consumers there complained that the new manufacturer was making a more consistent product. Powell of NPD said it’s a smart time for Converse to experiment with a new shoe. The brand’s annual sales have increased 75 percent in the last five years to nearly $2 billion — still a small fraction of Nike’s total annual revenue of $30 billion. But he said Converse is doing well enough to give the shoe time to catch on. And he doesn’t expect longtime fans to balk at the new design, either. at taryn.luna@globe.com. Follow her on Twitter @TarynLuna.